During the summer months there a few sights more exciting or, for that matter, more prehistoric than that of a dragonfly on the wing. A common darter dragonfly prepares for its first flight. The above picture is of what appears to be a common darter, one of Europe’s most common species. They are ambush predators, sitting on prominent vantage points where they can spot passing prey (other flying insects) and give chase. 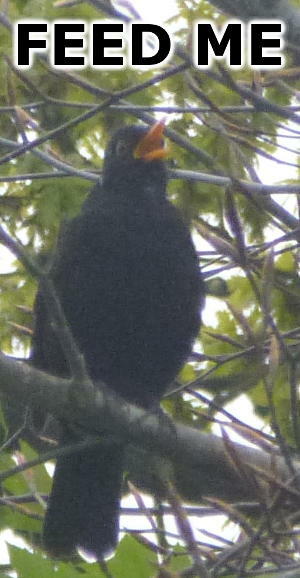 Younger specimens, such as the one shown here, and females are mainly a pale green and brown colour with brown eyes but the mature males turn to a more darker shade of red. The male and female mate on the wing and will drop their eggs into open water rather than laying them directly beneath the surface. The eggs hatch to reveal a tiny tadpole-like creature that soon develops into a nymph. This nymph is a voracious predator within the ecosystem of your average pond eating anything living that it can grab including tadpoles, small fish and other smaller dragonfly nymphs. 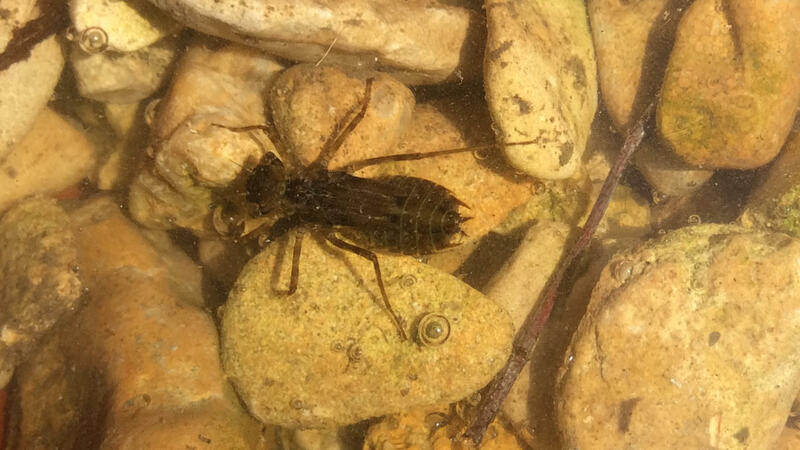 A common darter dragonfly larvae. When the nymph is physically ready and the weather is right it climbs out of the water via a suitable twig or stem, Then, over a period of about 2 hours or so, it bursts out of its nymph skin and develops into a fully fledged dragonfly. The adults are thought to live only for a few months and do not over winter. The common darter from the pictures in this post actually emerged from a 2-gallon bucket that had been used to collect blanket weed from the EverythingNotHuman pond. We couldn’t bring ourselves to ditch the contents of the bucket due to the probability that it may harbour life. As a result the bucket was put aside and left untouched through the spring and early summer. …just as well because come mid-July this is what started to happen. 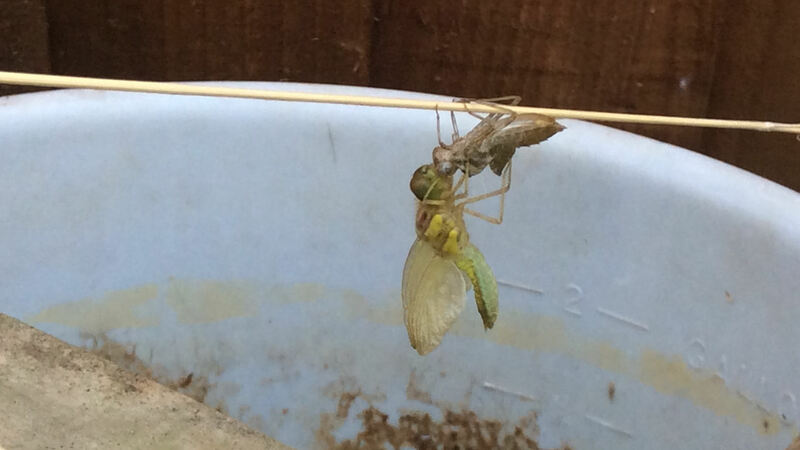 The young dragonfly forces its way out from its larval skin. 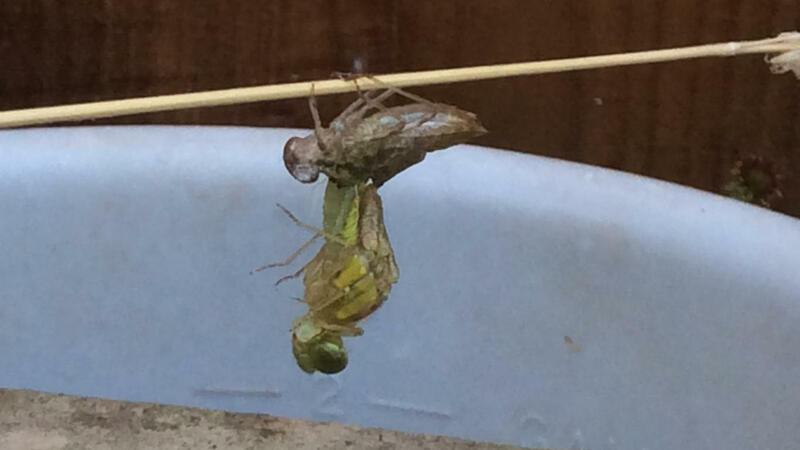 The dragonfly has fully emerged leaving behind the larval skin that is known as the exuvia. Once the young dragonfly has fully emerged it then slowly expands pumping fluid into its body and wings increasing in size much larger than the nymph from which it emerged. 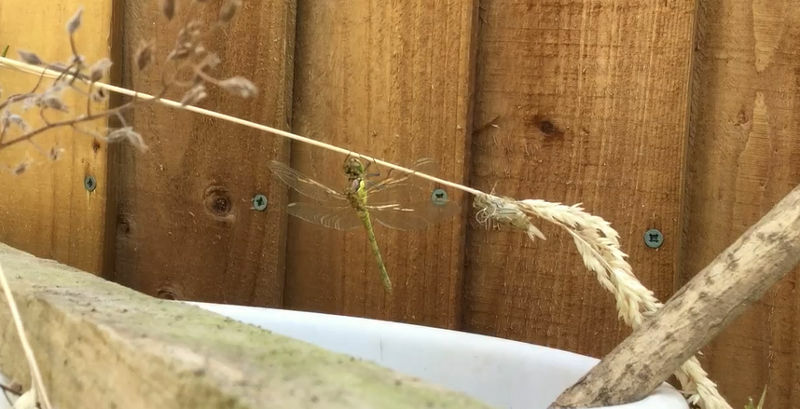 Below are two videos of the newly emerged dragon fly opening its wings for the first time and then taking its maiden flight. 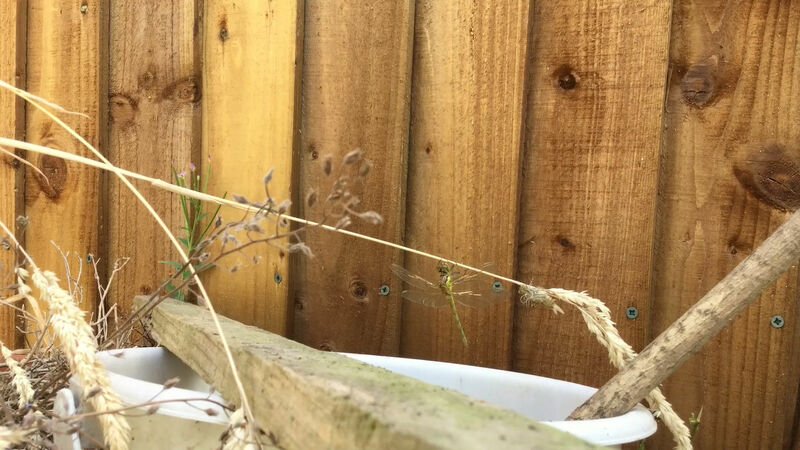 Let’s hope this young dragonfly overcomes its humble beginnings to live a long and fruitful life.